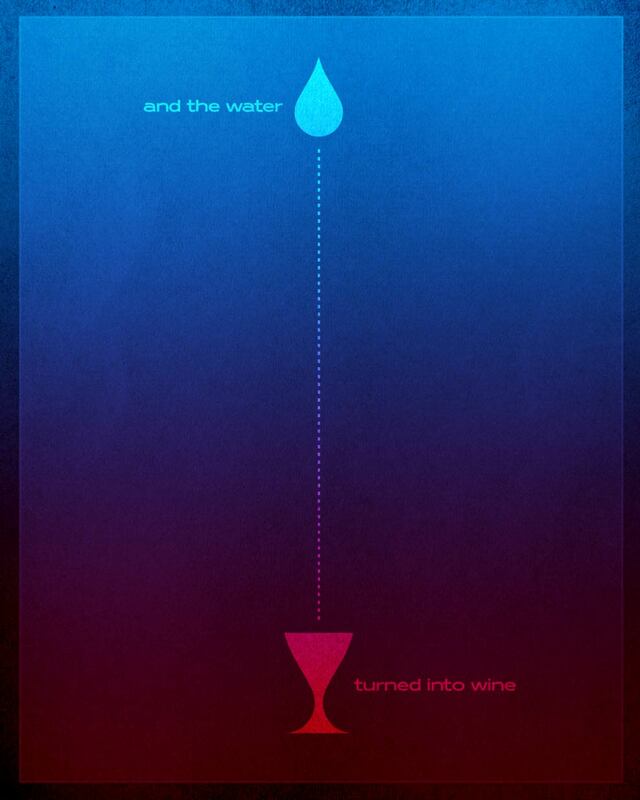 On the surface, the whole water to wine miracle doesn't seem that weird. It's just another way for Jesus to show off his superpowers, right? But this is Jesus' very first miracle. Shouldn't he have done a healing or something more... important? And on top of that, the end result of the miracle is that there's more liquor to go around at a party? Aren't you supposed to judge the party people? Hide your beer! It's Jesus! Think of all the pictures and art you typically see of Jesus. Is he laughing? Telling a joke? Shooting spitballs at Peter? Nope. He usually looks tired, serious or crucified. I've got nothing against being serious and I think Jesus dying on the cross is the greatest act of love ever shown, but c'mon, was he always serious? When he walked into a room did people hide their beer, watch their language and hope they didn't get judged? I don't think so. In fact, in the gospels, it seems Jesus was at parties a lot—and not the kind of parties with silk napkins and 2 forks. And it wasn't like he went there to give sermons and lectures on the evils of drinking, fornication and the gay agenda. Could it be that one of the reasons Jesus liked hanging out with people at parties was because it was fun? Could it be that he even told a few jokes? I just flew down from heaven and boy are my arms tired! How many of me does it take to screw in a light bulb? None. You don't need a lightbulb when you are the light of the world! Why do people think I have a drug problem? Because they always hear about me almost getting stoned! What did the deaf man yell as I walked down the road? "Hear, I AM!" Sorry, that's the best I've got. How 'bout you?